The “Smiles for Kids” campaign offered by Dr. Rashmi Patel of Enfield Family Dental has been expanded to include low-income patients and seniors. The expansion of this campaign will allow individuals who fall in either of these groups to benefit from the free consultations offered by Dr. Patel as a part of the campaign. Dr. Rashmi Patel of Enfield Family Dental has announced that the “Smiles for Kids” campaign has been expanded to now include low-income patients and seniors. The campaign has been such a success thus far that Dr. Patel and his staff believe that the program could further benefit both seniors and patients living on a low income. The campaign provides free consultations to patients so that any dental issues can be identified and a course of action can be determined to rectify the problem. The expansion of the campaign is the result of the overwhelmingly positive response that the dental practice has received through the availability of free consultations. The goal of the program was to not only raise awareness of the importance of proper dental care, but to also provide education with regard to the procedures that are available and how those procedures can be beneficial to patients. Part of the reason for the “Smiles for Kids” campaign stems from the belief that many people in need of dental attention forgo treatment out of fear of undergoing a procedure and the subsequent cost involved. 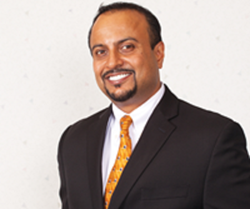 By offering free consultations, Dr. Patel is able to address any concerns that a patient may have while also identifying any current dental issues that may need to be addressed. Enfield Family Dental offers a wide variety of dental services, including general dentistry, cosmetic dentistry and preventative dentistry, along with other services that address many specific dental issues. One of the main reasons that the expansion includes seniors and those living on a low income is the fact that people within these particular demographics seem to be the most in need of dental care and are among the most likely to avoid seeking treatment. There are many potential issues that could arise out of neglecting dental care needs, as unattended dental issues only get worse as time goes by. It is the hope of Dr. Patel that by expanding this campaign and offering free consultations to a broader patient base he will be able to help more people address their dental needs in a meaningful way.